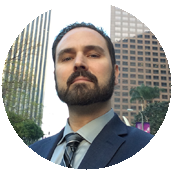 Are You Cut Out To Be A Freelance Court Reporter | Todd Olivas & Associates v3.0 | Court Reporting Services in Orange County, Riverside, San Bernardino, San Diego, Los Angeles, Irvine, Santa Ana, San Jose, Sacramento, Fresno, San Francisco, Bakersfield. TO&A employs no court reporters, interpreters or videographers of our own. The providers we send are fully qualified and reliable independent contractors. We just launched a brand new quiz today entitled, How Successful Will I Be as a Freelance Court Reporter? 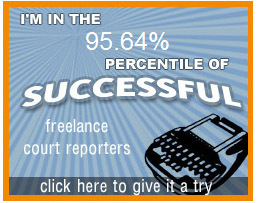 This quiz is designed to be a fun way to gauge in which percentile of successful freelance court reporters you will rank. By no means is this a thoroughly researched, documented, peer-reviewed scientific approach to measure how good of a reporter you will become (or already are). Still, we think it's a fun little quiz that hopefully students and newbie reporters around the country will enjoy. What is your level of flexibility? What is your control freakiness? How much business savvy do you have? What is your entrepreneurial ambition? How passionate about court reporting are you? How much professional integrity do you possess? How eager to delegate to a scopist am I? How flexible and agreeable with calendar personnel am I going to be? How many of my own clients will I have? Will I continue with certifications or stay stagnant? Right out of school do I need the latest & greatest in steno equipment or will the Toyota of steno machines do? Will I be too busy to volunteer time speaking to students or giving back in some way? If an agency's client wants to call me directly, do I accept the offer? If I am late for a job, do I call the agency and be honest or tell a white lie that there was a lot of traffic? Will I push myself to do real-time or shy away from it? Will I want to do harder material like doctors and experts or just stick with the easy stuff? If the economy has a down turn and work is slow, will I forge forth or look for a second career? If I have an expedite will I work all night to get it done quickly or procrastinate until the last minute?